For a business organization or any such working firms, their main aim will be to create profit with smart work. To make this happen they need outstanding employees with sublime potential. By selecting an apt candidate they have planted a highly productive seed in the company which will bring better fortune to the organization. A recruitment management system is essential for any firm for selecting the suitable employee and executing suitable strategies in the selection process to pick out the best candidate from the available lots. The recruitment management system acts like a tracking application, which can track the potential candidate, analyze him thoroughly until he becomes the employee of a company. The recruitment management system is also known as the candidate management system. The various process done under the recruitment management system includes analyzing the job openings, getting approval from the management, creating the job opening with its specifications, receiving applications and resumes from potential candidates, shortlisting the candidates, scheduling the interview for shortlisted candidates, conducting the interview, selecting the most suitable candidates etc. Create the openings: when a suitable opening appear in the firm, it can be notified after getting the consent from the authority, while notifying we can add educational qualification required for the job, age limit, desired level of skill set, total number of openings for specific post, dates of applications etc. in a simple step in recruitment management system. Track and manage the applicant: through this feature, one can verify the applicants applied for this job opening both via the direct link and also through various job portals. Then we can go through their profiles and shortlist the most suitable candidates. The shortlisted applicants can be contacted over the phone or via E-mail and finally, the management can schedule their interview. Managing the recruitment stages: recruitment is not a single entry single exit process. It requires various stages to select an apt candidate. By using the recruitment management system, the end user can include these stages to the recruitment process. The various stages coming under this section are the pre-qualifying rounds where general questions regarding the job opening will be asked, written test to know the knowledge level of the applied candidates, skill test to know the skill level and actual working potential of the candidate and finally the face to face interview with HR to know the confidence level of the candidate. The human resource management software makes all this process simple and easy going. Creating surveys: by using the survey designing in the recruitment management system we can make surveys and questionnaires for the candidates. This is an additional feature where the quality of the candidate can be measured. Now we know a recruitment management software can really be a boon when it comes to the selection of a candidate. 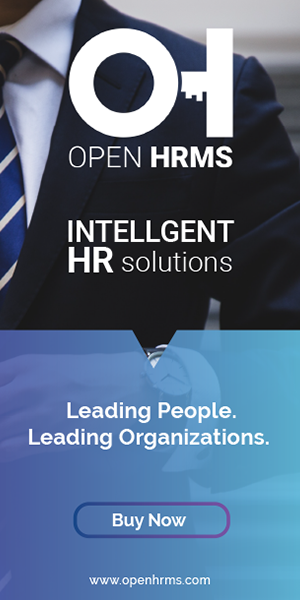 To make your companies recruitment process simple, effective and productive you can make use of the open HRMS platform.